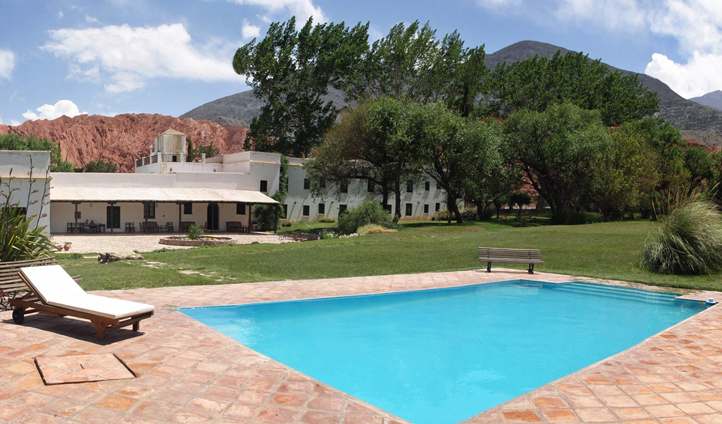 Leave the modern world behind and step back in time to a beautifully restored colonial-style house tucked away in the heart of the Argentinian countryside. At the foot of one of South America’s most wondrous natural landforms, El Manantial del Silencio is just that, a ‘source of silence’, and a perfect complement to its tranquil surroundings. 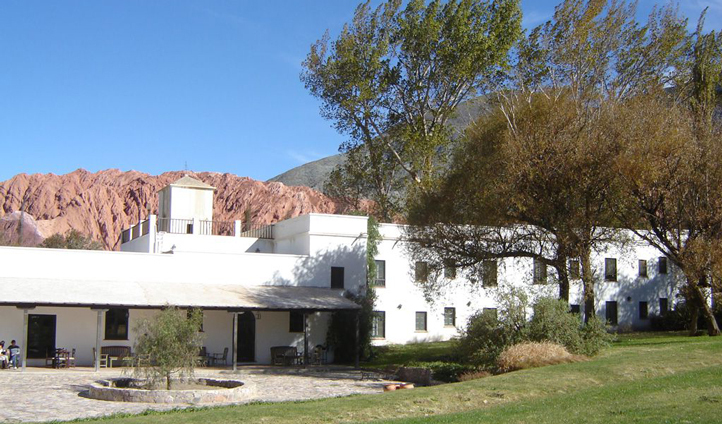 Just over an hour north of the city of Jujuy and the International Airport that serves it, you can find El Manantial Del Silencio by following the meandering Rio Grande, which crosses Quebrada de Humahuaca, a spectacular World Heritage site. Your boutique hotel lies just outside the little town of Purmamarca, which lays claim to ‘Cerro de Siete Colores,’ the famed marzipan-striped mountain that is unique and jaw-dropping all in one. Escape the hustle and bustle that this natural wonder attracts, after perusing the local market for crafts, and make a beeline for your country hideaway. Boasting 19 bedrooms, the Hotel has put a huge emphasis on comfort through restoring these traditional rooms to form simplistic havens just for you. We love the hotel’s exclusive Suite on the upper floor, sharing the elegant design of the bedrooms but with the added luxury of a living room, a Jacuzzi and a fairy-tale canopied bed. Gaze out to Cerro de Siete Colores and feel like you’re the only one experiencing this private treat. The cuisine boasts inventive twists on original dishes to excite and satisfy your taste buds time and time again, thanks to Chef Sergio Latorre’s creative take on Andean delicacies. Enjoy breakfast in the dining room with floor-to-ceiling windows that allow light to flood in, and wander out to the pool for a view of the mountains. Our favourite treat is the dulce de membrillo (quince jam), a homemade delicacy that will excite you as much as the scenery does.